I can’t name you the page, because I listen to the biography as an audiobook, but author John Garth mentions in his formidable autobiography Tolkien and the Great War: The Threshold of Middle-earth that modern fantasy’s forefather indeed drew a sketch based on Kubla Khan. Originally, I wanted to post the picture here, but, alas, I did not find it. Maybe I will, later. 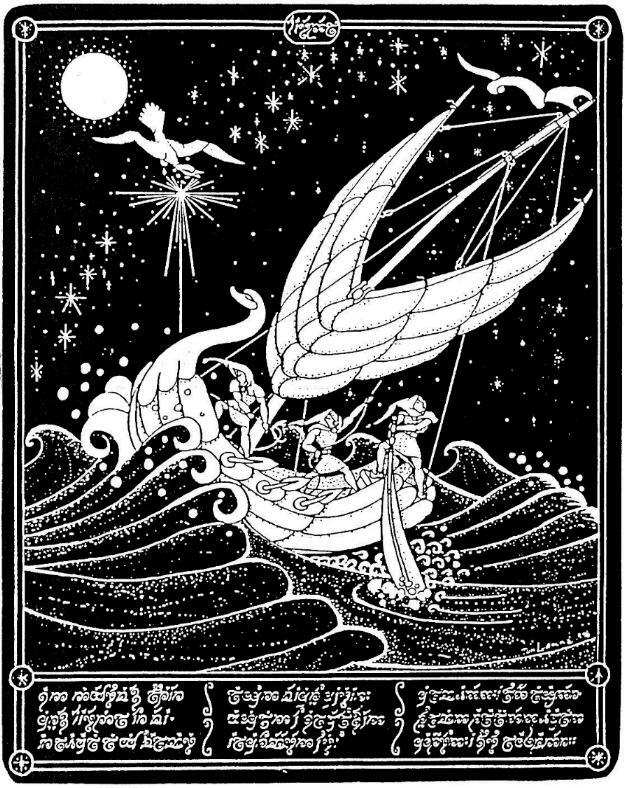 In the meantime, here’s one of Tolkien’s more famous poem, “Earendil the Mariner”, which kind of keeps with the theme we have established so far. It is, as Garth also notices, worth mentioning that Mr Tolkien does not, as one would expect, draw from the medieval Seafarer, which Ezra Pound, as we know, had already worked on a few years earlier.